Do you know who I think is a really cool guy? 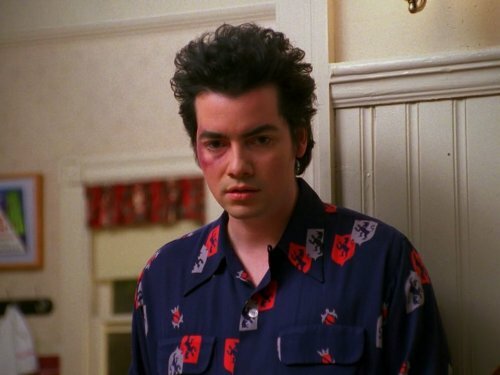 You guessed it right, Mr. Kevin Corrigan of course! Not only is Kevin this amazingly talented and entertaining actor in a great multitude of your favorite films and tv shows (Goodfellas, Slums of Beverly Hills, The Departed, Grounded for Life, Portlandia, The Get Down, too many to name here…) but he is into music, which makes him ultra-cool in my book. Kevin plays many instruments like bass, guitar and piano, and he’s good at it. He’s in a NYC band called Crystal Robots with his friend Daniel Harnett. He produces tracks on Soundcloud and he’s had his own talk show – The Kevin Corrigan Show – where he interviews famous actors like Steve Buscemi, James Franco, and Natasha Lyonne and also musicians, like David Johansen and Kim Gordon. From the moment I saw him wearing a Dirtbombs t-shirt in his role as Eddie Finnerty on the show Grounded for Life, I was smitten. I wanted to know, is he actually a fan of the band and into the same music I’m into? It was a dream of mine to meet him and ask him these questions. Not to mention that I recently discovered that he acted in the “Get Me” video by Dinosaur Jr. Learning this was the definitive moment for me; I just had to talk to him. Well, the universe provided and I was given this kind gift of an opportunity. Without going into too many details of how this occurred, I hung out with him in a coffee shop in NYC for a couple of hours in March and he related to me tons of great stories, 95% music related. Did I mention he’s a real music fan? It was such a delight to hang out with him that afternoon. Although I didn’t record that conversation, he answered these questions for me via email. You were in the Dinosaur Jr video “Get Me”. How did you get that part? Are you a fan? Did you meet those guys? Was it great fun smashing up the TV and the room with the golf club in the video? I wasn’t a fan of Dinosaur at the time, but I became one, and I did meet them on the set. Murph was friendly. 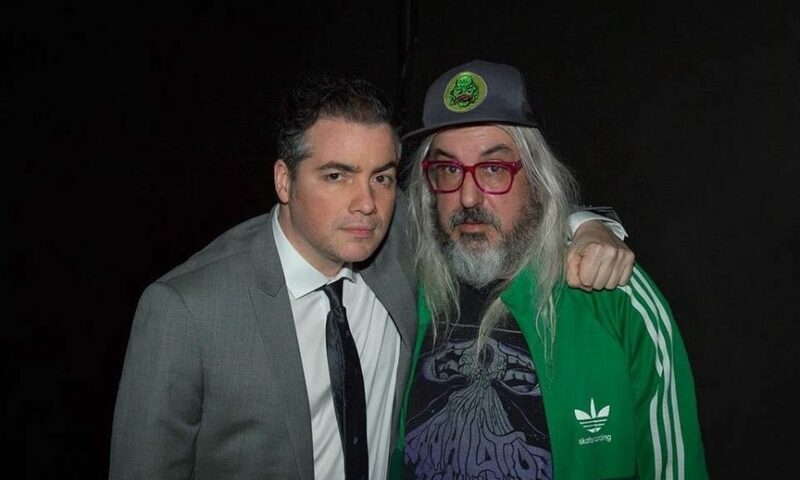 J Mascis was…distant. Matt Dillon directed the video. I had acted with Matt earlier that year (’92) on a film called THE SAINT OF FORT WASHINGTON. We talked about rock music. So I was on his mind. He said he would’ve played the part in the video himself if he couldn’t track me down. I’m so glad he did. It meant a lot to me. I’d been a fan of Matt’s since MY BODYGUARD which came out in 1980. THE OUTSIDERS in ‘83. DRUGSTORE COWBOY. Getting to smash things up under his direction..yes, it was fun and deeply cathartic. And that sense of catharsis returns whenever I see the video, the way they edited my busting up the joint with J’s guitar solo. 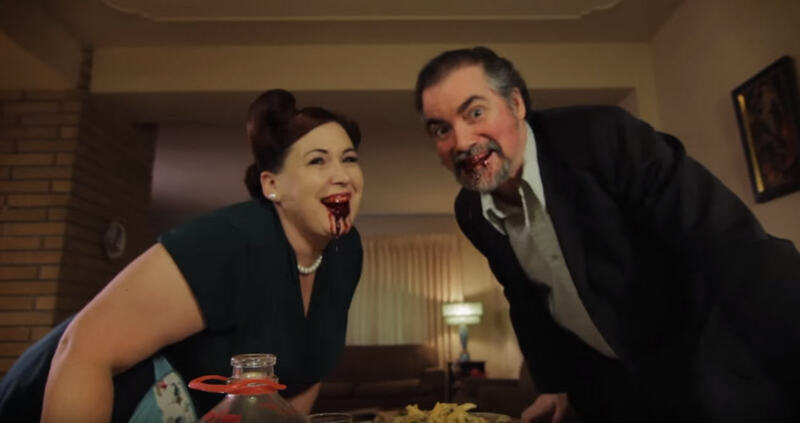 What’s going on in the video “Safe Word” by Choke Chains? It’s pretty sick! What are you supposed to be, a family of homicidal cannibals, or zombies? Yes, we are meant to be cannibals. The violence is a bit extreme, but it was a focused production and a very funny group of people. A lot of laughs. It is based on a black comedy horror film called “Parents” starring Randy Quaid…directed by Bob Balaban. Do you get to go to many concerts? You mentioned Public Access TV playing at the Bowery Ballroom. Did you go to that show? I see as much as I can. I have missed a lot of stuff over the years (including Public Access). You can’t make it to everything..but the experiences I’ve had—everything from Judas Priest to Ravi Shankar—have enriched my life. 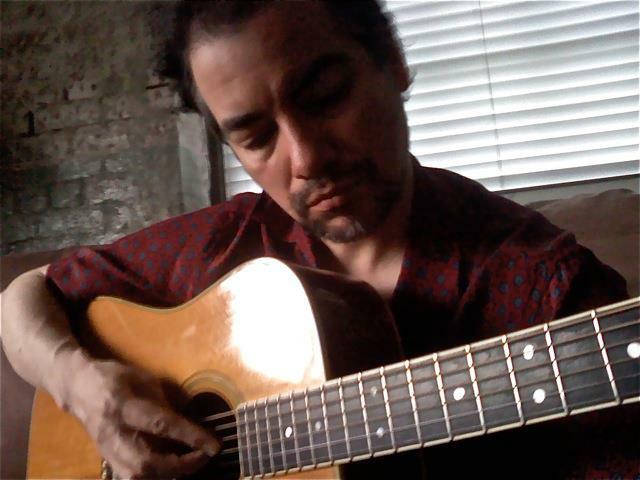 Rock, classical, world music. Arena shows, small clubs. How long have you been playing bass? Do you play guitar also? From the movie Results it seems you were having fun with playing the guitar. I’ve been playing guitar since ’88. I bought a Fender Telecaster in 1990 which I still have. I’ve always kept a bass around to record with but never attempted to become a bass player until 2013 when I started playing bass for Daniel Harnett, a New York singer-songwriter https://danielharnett.bandcamp.com/album/under-the-veil-unseen In the movie RESULTS my character plays around with a Gibson SG. Could you write a script for a film based on a musical soundtrack that you hand-picked? If so, what would the songs be and what would the film be about? Personally, it would be a dream come true, to make a feature film like MEAN STREETS and AMERICAN GRAFFITI, a coming-of-age movie, set largely at night, with a virtually uninterrupted soundtrack. 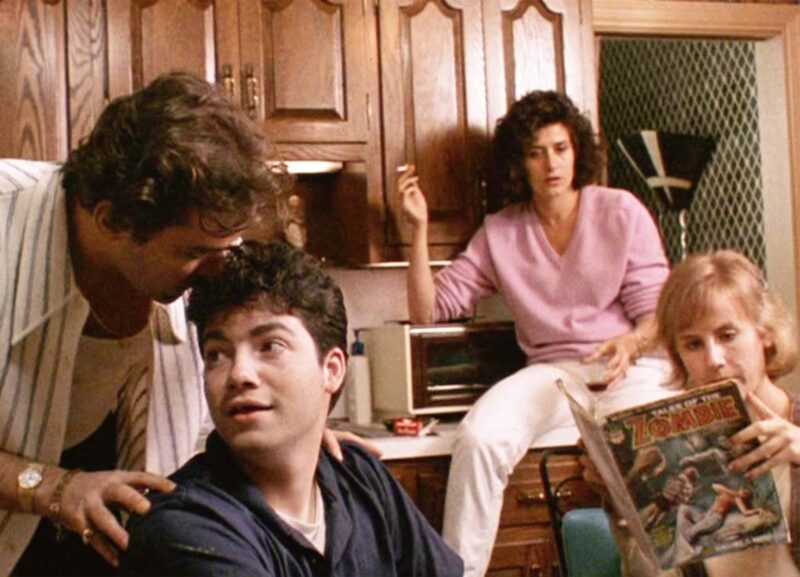 My film would almost certainly take place in the Bronx and/or Yonkers in the 70’s and 80’s. It would begin on a static shot of Tracey Towers as the sun was going down over Mosholu Parkway. Some lightning would flash behind the buildings while Led Zep’s “In the Evening” played (the intro, before the drums kick in)…It would continue with a wild keg party in the Oval park at night. Music: “Over, Under, Sideways, Down” Yardbirds. “Intruder” Peter Gabriel, “Anytown” Reagan Youth, ““Symptom of the Universe” Black Sabbath. There would be some kind of build up to some tragedy, a fight would occur, a death would occur, the revelers would scatter and we’d follow two kids, one of them desperately, but unrequitedly in love with the other, as they took off, go into hiding somewhere, maybe even travel back in time through some kind of portal..and at that point the music would become more melancholy..I would try to have the narrative conform to “Birthday Song” by The Fall, “The Water Is Wide” by Fred Neil, “Your Mother And Father” by Cass McCombs, “Save A Seat For Me” by the Five Blind Boys of Mississippi, “Pastime Rag No. 4 (Artie Matthews), “Dark Was the Night, Cold Was the Ground” by Blind Willie Johnson, “The Rain Song” by Led Zeppelin, “The Single Petal Of A Rose” by Ben Webster, John Lennon’s home recording of “Cathy’s Clown”, “All I Want” My Bloody Valentine, and the movie would end somehow with “Meher Baba M5 (Vivaldi)” by Pete Townshend. The movie is called CRY OF THE GULLY JUMPER. Who were some of your favorite bands growing up? There were many bands that I loved as a kid who were before my time, but I grew up with them, listening to them and absorbing their catalogues. The Beatles, the Who, the Stones, Zeppelin, Floyd, Cream, Hendrix, Black Sabbath. Yes, they were all finished by the time I discovered them, but they were of vital importance to me from the age of 12 to at least 20..and the reason I specify 20 is this: the way I look at it, it was my adolescent/teen fascination with 60’s music, or psychedelic music–particularly the music of Cream and the Stones, and though he is more of a 70’s and 80’s artist, Peter Gabriel—that prepared me, on a psychic level to meet and bond with Martin Scorsese, who cast me in GOODFELLAS. I had just turned 20 and that was a major occurrence in my life. Getting the nod from him, to me, was a validation of not just my abilities as an actor, but of my ear for music. I remember riding around with my friend Curt. The song “It Takes 2 to Make A Thing Go Right” always seemed to be playing in his car. All throughout those years, The Beatles were my anchor, but all of this other stuff got into my head..and then GOODFELLAS came along, which was like my graduation and then MBV came along, which influenced me as an actor in that I decided i wanted to be in movies that were as unconventional as the album Loveless, and two years later I discovered the director Hal Hartley, his film TRUST, which he composed the music for, which blew my mind, and who told me, when I first met him, that the closing credit music for that film was based on the closing credit music of LAST TEMPTATION OF CHRIST (composer: Peter Gabriel). So I knew I had to work with Hal. And I did work with him on HENRY FOOL. 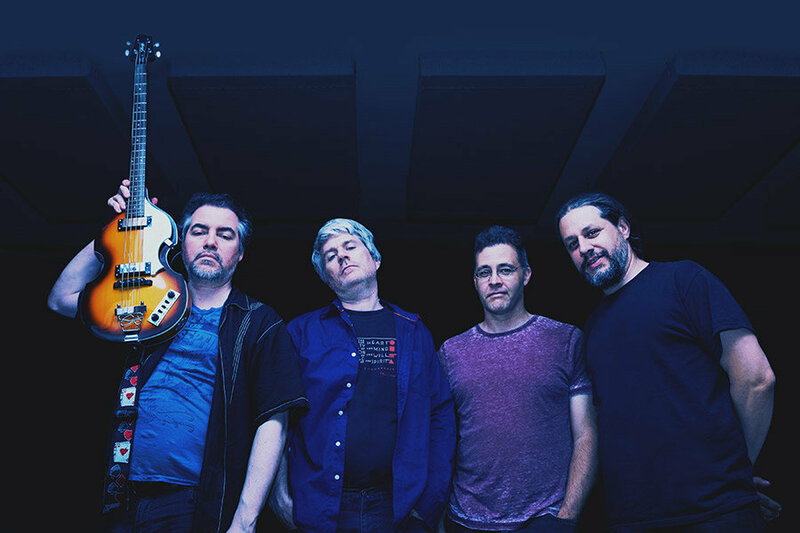 And apart from all this psychobabble, I need to mention the band Elysian Fields, led by singer/lyricist Jennifer Charles and guitar virtuoso Oren Bloedow, who I have have been growing up with from my late 20’s to the present. We have grown together. Their music and their artistry mean a great deal to me. Are you still doing stuff with Crystal Robots? Any upcoming gigs? I hear you just put out a record. Yes, Crystal Robots, have a self-titled album coming out March 27 on CD Baby and i-tunes. It’s available for download but there is also a vinyl LP if you have a turntable. How do you feel when seeing yourself on screen? Does that ever freak you out? It only freaks me out if I’m bad. If I’m on top of my game, I don’t mind watching. Of all the parts you’ve played in films and in TV what are some of your favorite roles and why? I like the part I play in the Netflix show THE GET DOWN. As mentioned in the intro when I met Kevin in the coffee shop in NYC I didn’t record the conversation but of course wish I had. He is great at telling stories, in a funny, charming, down to earth kind of way. We talked about music mostly, how he had his connection with Matt Dillon from his early beginnings at acting school. How his dad asked the people at the acting school which actors had come out of there and he was told – Matt Dillon. And how Matt Dillon called his home to ask Kevin to be in the “Get Me” video but got his parents on the phone instead because he wasn’t living there at the time. The way he described and played out this event was just so funny, imitating his parents broken english and how they said “yeah we’ll give him the message” to Dillon. 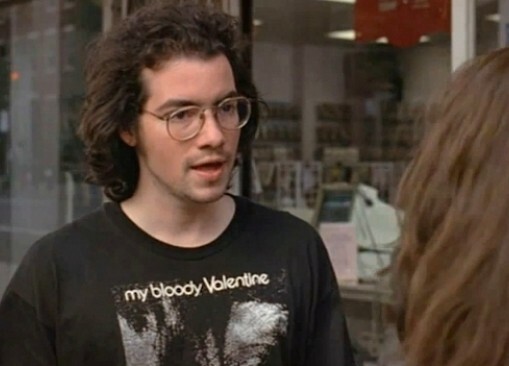 Kevin also recounted the story behind the Dirtbombs t-shirt wearing on Grounded for Life. He told me he first heard Ultraglide in Black while stuck in a horrible LA gridlock traffic jam and how it changed him. He wanted to wear the t-shirt on the show but was given a hard time about it and had to contact the band to get their permission, and how he later on met the band and hung out and partied with them in Detroit. Another great story involves our mutual friend, Emily Hubley, film animation artist, who Kevin has done a couple of roles for, The Toe Tactic and And/Or 2012. 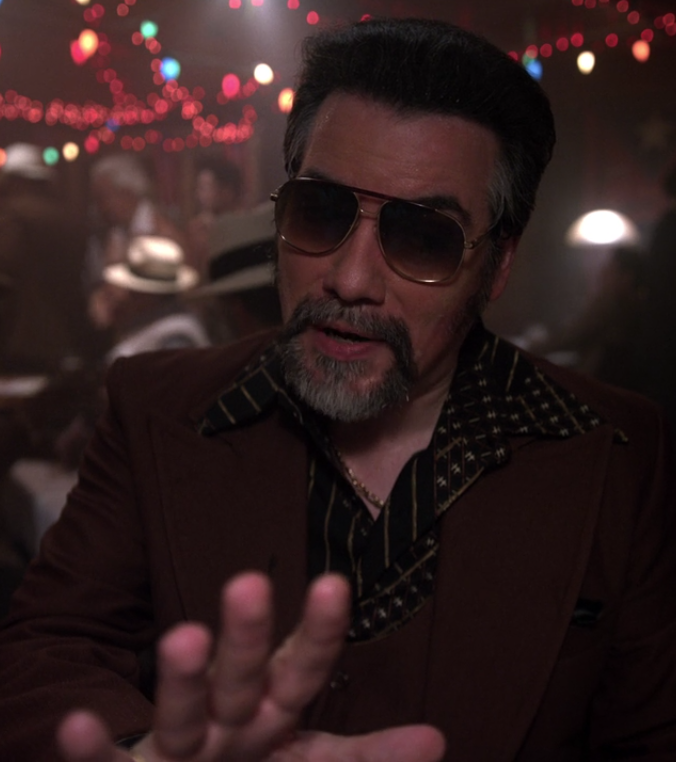 He went to a Roky Erickson concert with Emily at Maxwells in Hoboken and had to learn a song on piano that Ira from Yo La Tengo wrote for the film The Toe Tactic. Kevin recounted how when he visited the band’s studio in Hoboken it was like walking into Abbey Road with instruments strewn all about. We talked of other things like how real artists just have their creativity pour out of them like a necessity and about an artist’s goal to express the truth, actors included, and his admiration of Marlon Brando, relating some of his famous quotes on acting. Kevin also mentioned how he had the privilege to meet some of his idols, and how sometimes you meet someone you admire they seem very alienated and can’t relate to people. Other discussion topics included how he met his wife, actress Elizabeth Berridge at party but how he could have met her years earlier as he had auditioned for the film 5 Corners that she acted in, but he didn’t get the part. He considers the role she played to be her best, even more so than her character in Amadeus, and how his whole life since his marrying her was like he married that movie, like he had to be a part of that movie. 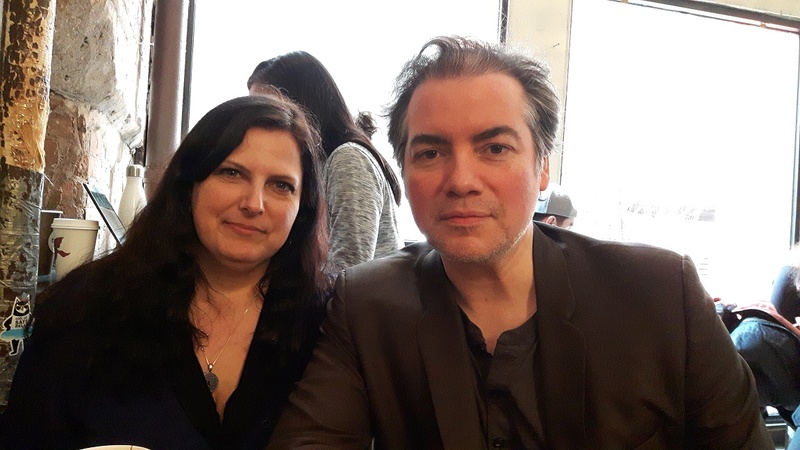 So what people say about dreams coming true, I can attest that a dream of mine did come true in meeting Kevin Corrigan and it was pretty awesome.